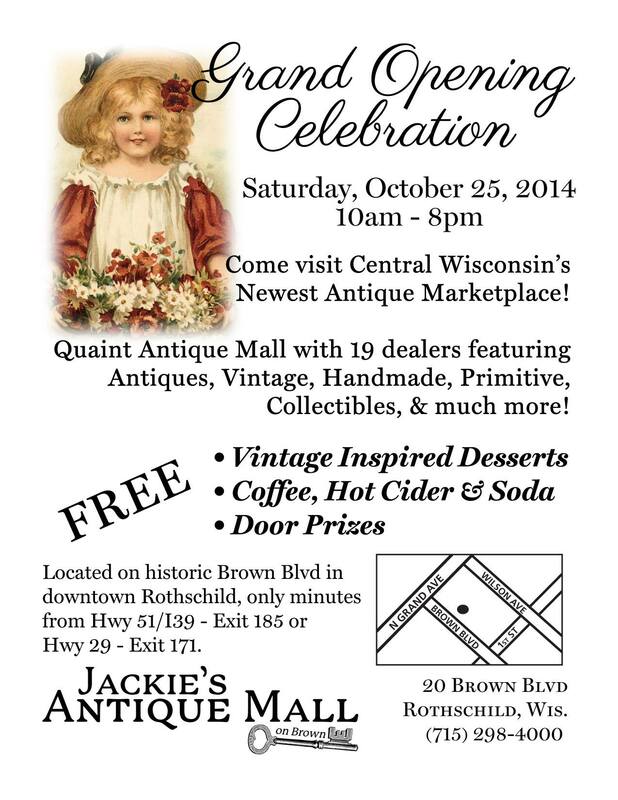 Come visit Central Wisconsin’s antique marketplace at the grand opening celebration of Jackie’s Antique Mall on Brown. 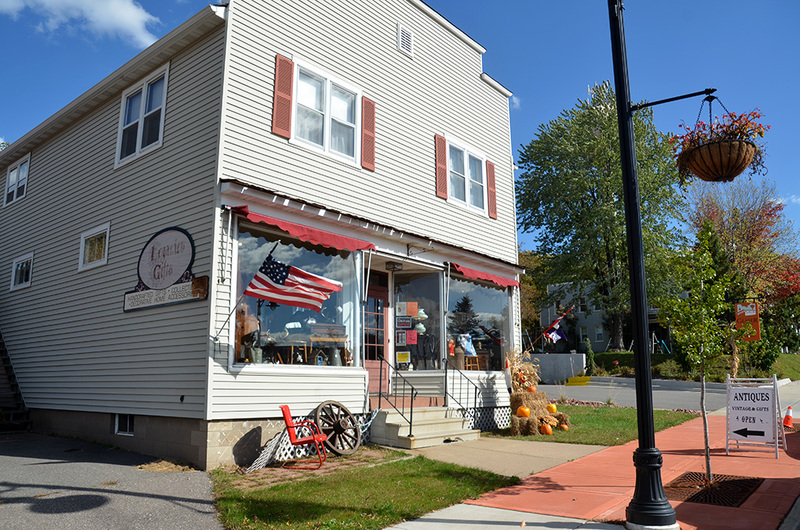 Located in downtown Rothschild on 20 Brown Blvd, Jackie’s is a quaint Antique Mall with 19 dealers featuring a wide variety of antiques, vintage, handmade, primitive, and collectable items. The Grand Opening Celebration is Saturday October 25 from 10:00am – 8:00pm. Stop on by for vintage inspired desserts, coffee, hot cider, and soda, and plenty of door prizes. Located just off the Interstate 39 and Highway 29 in downtown Rothschild, Jackie’s cozy shop is worth the stop to browse. Or if you are looking to sell, Jackie’s Antique Mall on Brown also buys antique, vintage, and mid-century treasures – the key is unique.